Danna is recognised as one of the leading commercial and construction disputes lawyers in Singapore. 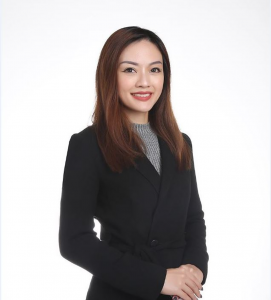 She was recognised by Singapore Business Review 2018 as one of the 20 most influential lawyers under the age of 40 and was awarded the Lawyer Monthly Women in Law Award 2018 for her outstanding legal expertise and contributions in the practice area of Dispute Resolution. She is admitted to practise law in New York and Singapore and specialises in disputes prevention and dispute resolution, with a particular emphasis on international and domestic commercial and construction disputes. Prior to joining Eldan Law as a Partner, Danna practised in the projects and construction and international arbitration practices of two international law firms. Danna has represented clients in high value, complex international arbitrations under major institutional rules (SIAC, ICC, LCIA, ICDR etc) and ad hoc proceedings, court proceedings, mediations and adjudications under the Building and Construction Security of Payment Act. She has a track record of achieving successful and positive outcomes for clients. Her non-contentious work experience includes drafting, reviewing and advising on contract documentation for large-scale infrastructure projects and arbitration agreements for international transactions to eliminate disputes risks for clients. Her clients include Fortune 500 companies, international and Singapore based developers, contractors, suppliers, professionals and Singapore listed companies. Danna received her Master of Laws from Columbia Law School in New York, U.S.A. She was a Harlan Fiske Stone Scholar for her superior academic performance and was recipient of the Parker School Award for her achievement in international and comparative law. She graduated from the National University of Singapore with a Bachelor of Laws and was placed on the Dean’s List for her outstanding academic performance. Passionate about the development of law in the international dispute resolution and construction law space, she has published extensively on issues in those areas.